Air Xtreme Heating & Cooling, Inc. Comment: Yesterday, I was trimming shrubs beside the outside unit and clipped a wire and my ac won't do any thing. I stripped the cut wires and connected them and taped them with electrical tape. Still nothing is working. 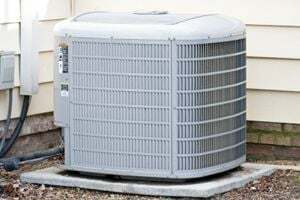 Comment: I would like to get an estimate for a a/c unit that is not working. Comment: I have a package ac/gas heat package unit. The unit is old and needs replacing. I would like to replace with same. My home is 900 sqft and decently insulated. I just need a new package unit brought to location and hooked to existing duct work, electrical, and gas. Comment: 624 Sq Ft upstairs and 624 Sq ft downstairs needs ductless mini split until install. 3 of 4 stage unit. Concord HVAC & Air Conditioning Contractors are rated 4.67 out of 5 based on 1,405 reviews of 26 pros. Not Looking for Air Conditioning Contractors in Concord, NC?